In the complex universe of database management, performance is everything. While a DBMS could offer the most thorough security features and accessibility options, lackluster performance can derail productivity, profitability and future success. Whether you're running Oracle Database or Teradata, there are several performance tuning tips capable of elevating its baseline operation. If you're searching for ways to boost speed, efficiency, and productivity, continue reading to uncover the most dynamic tuning techniques for both Oracle and Teradata. Before diving into specific techniques, the cornerstone of boosting database performance is identifying a performance baseline. Without an established foundation, spotting performance issues is paramount for the ongoing quest of optimized performance. 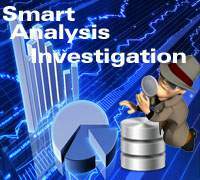 You must analyze above different kinds of statistics for investigating the root cause of performance degradation. Rewrite Complex SQL Subqueries - Use temporary tables for complex SQL subqueries with the WITH operator to activate the GTT (Global Temporary Table). This methodology is especially beneficial for subqueries with the WHERE and SELECT clauses and in-line views with the FROM clause. NULL Indexing - If your data contains too many NULL value then creating an index for NULL data values can boost performance if you run SQL tests for NULL. This feature is available after Oracle11g versions. Use Aliases - Whenever referencing a column, aliases can increase performance/speed. Database Block Sizes - The DB_BLOCK_SIZE parameter value should be around 8192 for OTLP processing systems. OLAP warehouse systems generally require a greater value, which varies based upon your specific database size. This should be taken care during database creation or tablespace creation. Review Oracle Performance Planning Guide -Oracle offers a unique performance planning methodology designed to assist in the creation, application and maintenance of databases. Reference this guide located at the Oracle Help Center. Calibrating Teradata for efficiency can be a complex procedure. However, the following steps are fundamental processes to reduce bloat and maximize overall performance. Data Types Used - Confirm the proper Data Types are being used. This easy step identifies if improper types are in use, which can absorb performance-draining storage. Eliminate Useless ORDER BY Clauses - - Sort your data and look for unnecessary ORDER BY clauses, which can slow performance. However, confirm the ORDER BY clause is not needed before removal. Intermediate Table PI - If your database is configured to use Intermediate Tables to house results, confirm these tables feature identical PI source as well as destination tables. Inner/Outer Table Conditions - Confirm the ON condition is used for inner table filter conditions. Also, make sure the WHERE condition is used for outer table filter conditions. Limit Data Selection - As a general rule, the less data that's being retrieved, the faster your query performance. Instead of client-side filtering, perform as much server-side filtering as possible. This reduces the volume of data sent, which results in significantly improved performance. Reduce Foreign Key Constraints - This is a debatable tuning tip. While foreign key constraints safeguard data integrity, it accomplishes this by sacrificing performance. Therefore, if you’re working with a sluggish DB, assign integrity rules to application layers. 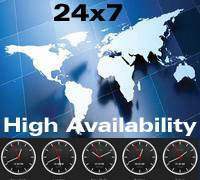 Performance and Tuning of Oracle and Teradata is wide subject. We cannot provide more detail in this kind of single article. But I tried to give you short advise and tips using this article. 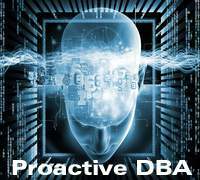 Exclusive and professional remote Database services offered by Dbametrix with strong response time and high availability for important and critical Oracle databases. 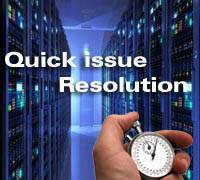 Expert remote dba team of Dbametrix is having wide experience to manage large and critical database with quick problem resolution. 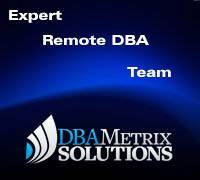 Dbametrix is world wide leader in remote dba support. 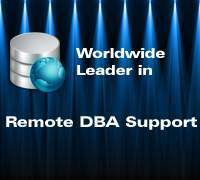 Expert remote DBA team of Dbametrix is offering high quality professional Oracle DBA support with strong response time to fulfill your SLA. Contact our sales department for more information.